Catriona MacLeod is known throughout the Highlands as the Shrew of Assynt, thanks to her razor-sharp tongue and her unwillingness to yield to her five brothers. 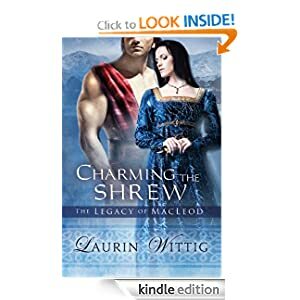 When she’s told that her eldest brother has promised her hand in marriage to a man she has good reason to hate, she flees into the Scottish wilderness, determined to seek the king’s intervention in her plight. When she reluctantly joins forces with a handsome traveler, she cannot anticipate the treacherous plot that will soon embroil them—nor the passion that will ignite between them. 4 in a Row has never been so much fun! It’s just like the popular game you played as a kid, but without the easily lost and shaky plastic parts. Challenge the computer or play against a friend in two-player mode, and enjoy the nostalgic throw-back with fun new themes, sharp graphics, and easy touchscreen controls. 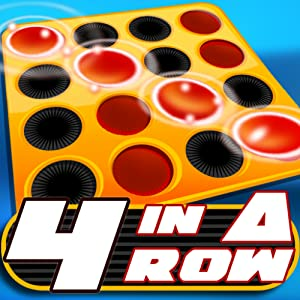 The goals of the game are just as you remember: connect four or more pieces in a horizontal, vertical, or diagonal row. Whether you are in the mood for the classic checkers theme or something more seasonal, Fantastic 4 in a Row HD has three great themes to choose from. Classic features the traditional red and black checker game pieces you remember, while the Jammin’ Sports theme will keep you pumped with basketball and soccer ball game pieces. The third theme confirms Christmas is great any time of year with red and blue ornaments as game pieces. Once you select your theme, decide which difficulty level you’re in the mood for. Easy is great for kids or those that might need a little refresher. Step it up with Medium, and really challenge yourself with the Hard and Expert difficulty levels. Throughout Fantastic 4 in a Row HD, you’ll enjoy crisp graphics and intuitive controls. The game features 10 different songs so you can enjoy some tunes while you practice your 4-in-a-row skills. Of course, you can turn the music and sound effects on or off. Today only you can download this game for free! Amazon (NASDAQ: AMZN) has sold e-books in the Kindle Store using its own formatting style ever since the Kindle was introduced in 2007. That will change next year when a new program is launched called Amazon Lives. This program will debut with biographies that will be available in multiple formats as well as places outside of the Kindle Store. Amazon has been stepping out into a lot of new markets lately. The online retailer is planning to open a boutique in Seattle to sell the Kindle and other products. The company that started the online buying revolution will now have a tangible, brick and mortar presence. We’ve also seen Amazon challenge Netflix with free movie streaming for Prime members, and take a stab at Apple’s iPad consumer market with the Kindle Fire. Now with Amazon Lives, the line blurs as Kindle e-books lose their exclusive formatting identity. Amazon Lives is just starting out with biographies, but I doubt it will take too long to branch out into other genres. Barnes & Noble and Books a Million recently stated that they would not sell Amazon books in their stores, but the launch of this new program might affect that sales strategy. The technology market in general involves a lot of cat and mouse type competition. I’ve seen this ramp up a lot with the entrance of e-readers and tablets. Competition is healthy in most respects because it makes the products better. Take the Kindle Touch for example. This version followed suit after other e-readers started adopting touch screen technology. However, if a company wants to try to take over so many different areas of the market, then they risk losing quality in their products. So my hope is that Kindle e-books will maintain their good reputation while serving the broadest audience possible as they venture into the new realm of non exclusivity. On e-Reader Tech News we track down the latest e-Reader news. We will keep you up to date with whats hot in the bestsellers section, including books, ebooks and blogs... and we will also bring you great e-reader tips and tricks along with reviews for the latest devices and accessories.